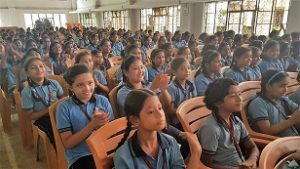 Students of Shrimanta Shankar Academy, Guwahati became the first lot of students from the North East to witness a live performance of robots, made and assembled entirely in India on Tuesday. About 1,000 students along with their teachers got a first-hand demonstration of robotics as a school teaching aid at an event, organised by Bangaluru based Sirenna Technologies. 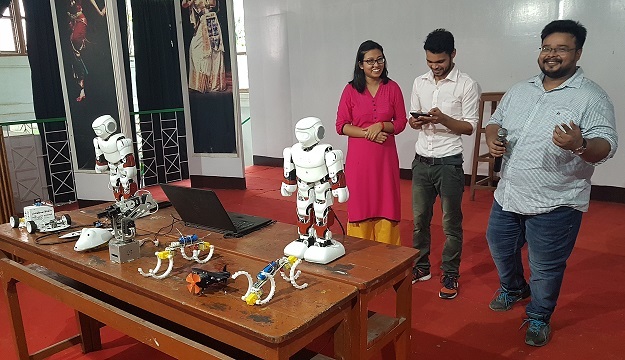 Two robotic trainers Nilakshi Kowar and Gulam Saruwar Hussain demonstrated the activities of two humanoid robots, Nino 1 & Nino 2 along with a robotic arm, automated car, robotic snake, robotic plane, and a robotic all-terrain vehicle. According to the trainers humanoid robots can not only make classrooms more interesting but also make room for intensive and advanced learning. Comparing the robots with the computer, the trainers explained that while the computer cannot think or move, the robot can. Moreover, the robot is equipped with artificial intelligence and hence it is both smart and sensitive. Both Nino 1 & Nino 2 danced together to the music of Bollywood potboilers and the kids loved it. The robots also demonstrated classroom sessions in which they took classes in nursery rhymes, science, and environment.